CWS Capital Partners is a real estate investment management firm that was founded in 1969. We own operate, manage and develop in excess of 20,000 apartment units throughout the country primarily in the Sunbelt, with a value in excess of $4 billion dollars. The following is a transcript of this video. The firm was founded, as I mentioned, in 1969 by two engineers the “C” and the “W”, Clayton and Williams and they met at an Indian Guide’s outing where their sons were together in the same tribe. When they got to speak with one another they realized that they had both read the same book about making money in real estate. They wanted to set forth an independent life with a real estate investment business. They got together with some money from friends and family. Low and behold they formed this business, on the side, and they had some level of success. The business continued to grow and they attracted new investors. 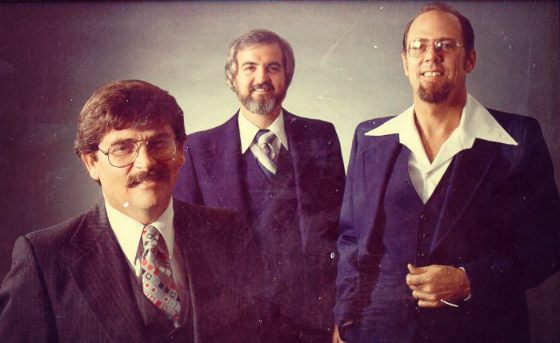 In the mid-’70s, they brought in the “S”, Steve Sherwood, who was about 17 to 20 years younger than the other two. The three of them together really were a wonderful partnership. They complimented each other greatly and they had a tremendous level of success. In the mid 90’s Steve Sherwood, basically, took over control of the company from the other partners. He was such a fan of the partnership model that he wanted to continue. Steve brought in myself, and then ultimately Mike Engels to create another triumvirate. It is a situation where everyone’s got blind spots and yet everyone in the partnership brings something to the table that the other one doesn’t. We are able to divide and conquer and use our strengths and hopefully shore up our weaknesses so that we make the best decisions that we can. What we want to do is to design a company where we can do what’s smart when it’s smart and not something we have to do because we are under some sort of financial pressure or investor pressure. We want to do what is the right thing to do where we can add the most value and sometimes that’s doing a lot and sometimes that’s doing not so much. CWS is a company that has a very planning oriented mentality. Each year we have a Strategic Planning Session and yet when we leave that session and we go out into the real world we know that we are going to have to improvise and that the battlefield realities are going to force us to deviate from those plans. Always focus on preservation of capital first. Don’t take any undue risks with the company where for example, you put everything on black and if it comes out on red the enterprise is at risk. Make sure that all investment opportunities are first evaluated from the perspective of not losing people’s money. We have been successful at doing that over this long period of time. Today, CWS has 800 investors or so. They range from investors that may be on an individual basis will invest $150,000 to some that will invest $20 million dollars. So we really cater to a whole spectrum of investors. We want to treat them as we would want to be treated. We know that it is inevitable that difficulties will arise over the course of an investment cycle. We are very open and transparent about what we communicate with our partners, we treat them as partners. We want to enroll our investors in the challenges we are facing and the solutions that we are proposing. They don’t always go according to plan. When all is said and done, we have fortunately been able to avoid losing investor capital over these last 46 years. We have generated pretty consistent attractive risk-adjusted returns over a long period of time that has made a distinct difference in the lives of our investors. That is something for which I am very proud. As a company, we have a very collaborative culture. It’s a culture that tries to check our egos at the door. CWS is also very team oriented and we want to hire for culture first and skills second. We are very community service oriented. We feel that an engaged happy committed employee that has a relationship with a cause greater than themselves, that we can help back, is one that is going to great things not only for us but in life. CWS has the B.R.I.D.G.E program designed to encourage our employees to volunteer in their communities while earning corporate donations of up to $240 per employee per year. I think that CWS is a very special place. It’s been around, as I said, since 1969. We’ve navigated some very turbulent economic and financial waters and yet here we are bigger and stronger than ever with a great, great future and just a wonderful team of people to work with. CWS is a very special place! I often think about the terrific years I spent with Steve and company. Everything I learned in business, I learned from Steve. I am a very fortunate person! I am very proud to have been associated with such a progressive, forward thinking company…here’s to many more years! Jody, thank you so much for the kind words and I still smile every time I think of you and all the great fun you brought to CWS. You definitely left your mark. As CWS “alums” who each spent a decade or more at CWS, primarily in the ’80’s, Suzanne and I can say that you have continued to brilliantly honor the tradition and values that were core of our passion for the company when we worked there. Thanks for your commitment, persistence, and vision. Suzanne & Dwight, you helped make CWS the special place that it is. You left an indelible mark on the company. Thank you for your kind words. John, thank you so much for the kind words and I’m delighted your experience at Westchase has been such a positive one. That is very gratifying to read. Stacey, it’s great to hear from you! Thank you so much for the kind words and I hope you have been well! Gary, Thank you for some insight into the history of CWS. So proud to be associated with good people and a great company for over 20 years! Thank you Jim. And we very much appreciate the great work you do for us.